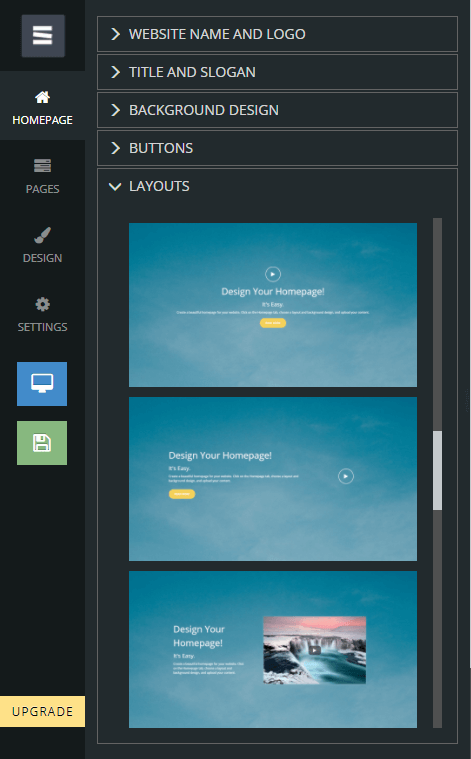 Introducing new layouts for your homepage! We understand how much your Homepage’s appearance is important to you - this is why we added 20 different layouts options for you to choose from. Layouts with options to add your own custom video! Layouts with options to add a contact us or lead form! Layouts with options to add buttons, pictures, text and more! Each layout you choose will change in seconds on your screen! Now you can add your own YouTube or Vimeo video to your homepage! 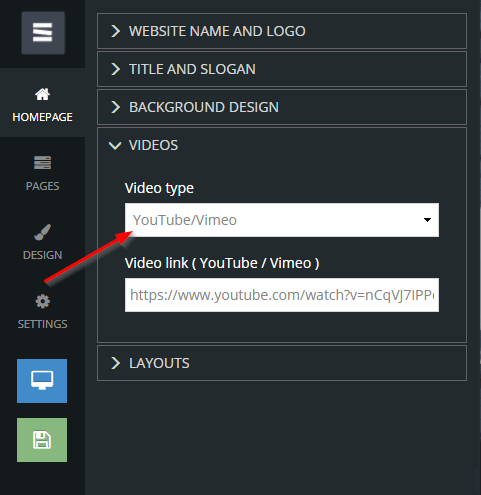 Homepage >> Layouts >> Video >> Feature - We added an option to upload a custom video for all the homepage video layouts! More than 1847 SITE123 websites created in US today!